We got several surprises in the latest Nintendo Direct, not the least of which is that Luigi's Mansion 3 is in development for Switch with a tentative 2019 release. This will join the GameCube original, which is getting a 3DS port next month, and Dark Moon, which was a breakout hit on the 3DS a couple years back. Frankly, this bothers the completionist in me. Why port the first game to 3DS at all? Just port the previous two games to Switch, so you can play the whole series on one console. 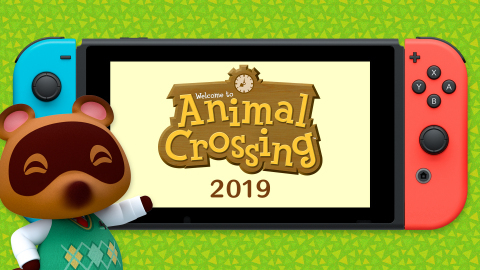 Also announced is a yet-untitled Animal Crossing game for Switch, which is sure to make a small but rabid corner of the Nintendo fanbase very happy. I had a few friends who lost untold hours to New Leaf, but I could just never get into the series. I also remember E3 2008, when Wii Music was the big headliner and Nintendo expected Animal Crossing City Folk to be the lone game to satisfy their core fans, and as a result I just can never get too excited about new entries. There are some other surprises in the press release below, like NES controllers for the Switch and a spring 2019 release window for Yoshi's Crafty World, so check it out if you're curious. REDMOND, Wash.--(BUSINESS WIRE)-- In a new Nintendo Direct video presentation, Nintendo revealed that new games in two major Nintendo series are currently in development for the Nintendo Switch system. Animal Crossing for Nintendo Switch (working title), a new main game in the Animal Crossing series, and Luigi’s Mansion 3 (working title), will both come exclusively to Nintendo Switch in 2019. The video presentation also debuted a new Super Smash Bros. Ultimate Nintendo Switch hardware and software bundle.